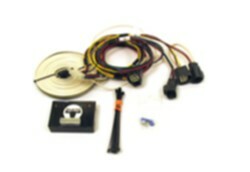 Tow vehicle electrical can be a tricky subject and there are many ways to achieve the same result. Start by choosing the electrical accessories from the same brand as your tow bar and base plate for seamless integration. Call us to get a personal recommendation or to just to have a second set of eyes on your order.